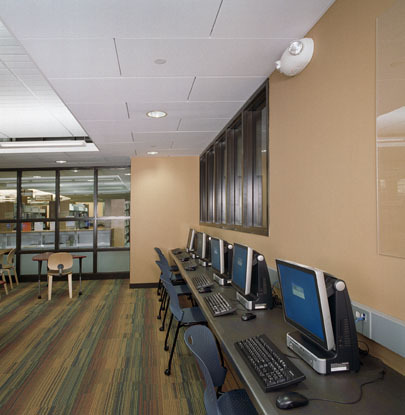 Traditionally, libraries have followed one of two models: Either they are facilities located within school campuses, whose main purpose is to assist with research and archiving, or they are repositories of books and media that serve the local communities. 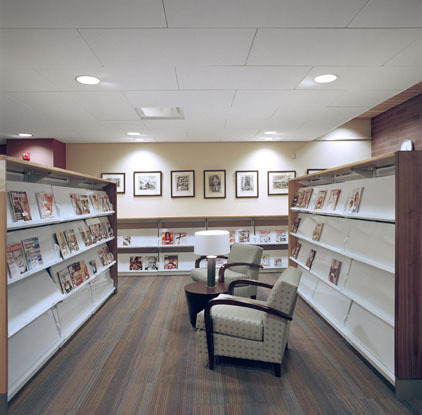 The city of St. Paul, Minnesota, has taken the latter approach a quantum leap forward with the opening of the Rondo Community Outreach Library by integrating private living areas with public spaces in a single building. 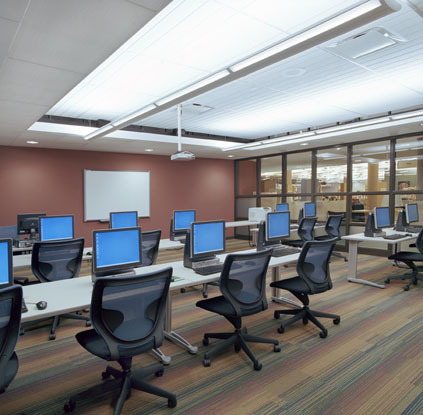 Designed by architects from BKV Group, the four-story design allots about 31,000 square feet of publicly accessible space to the library. 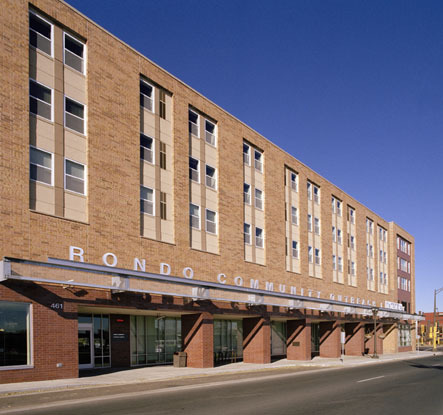 An additional 147,000 square feet on the upper levels was made available for 98 units of affordable housing. 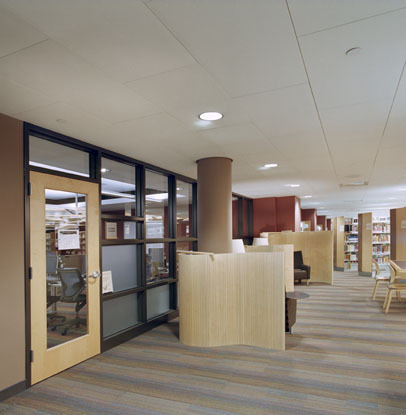 BKV's design of the library incorporates storefront-style windows at the ground floor that give the library an open connection to the sidewalk. 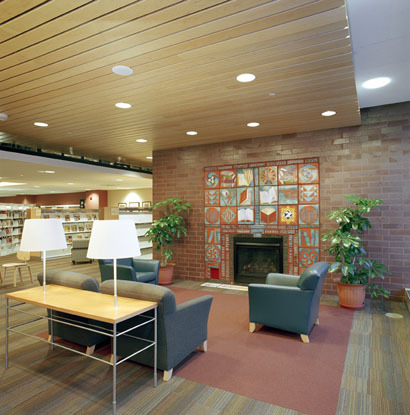 A warm brick façade further integrates the building into the surrounding neighborhood. 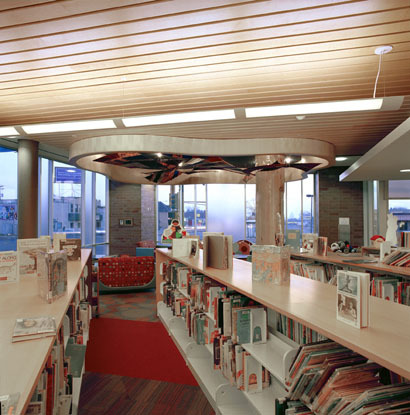 The interiors feature a large, open-stack area of interspersed shelving and seating areas. 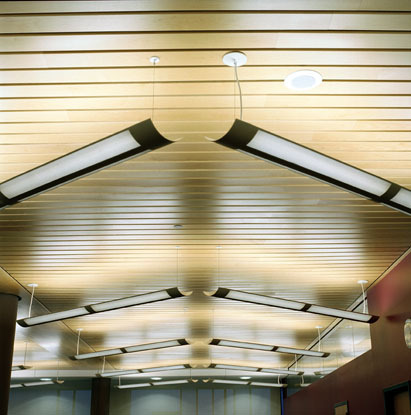 Ceilings throughout are used to define zones within the space: A plane of maple veneer linear ceilings covers the plenum, with "pods" of white Techstyle® panels placed below that at circulation desks and around the perimeter. 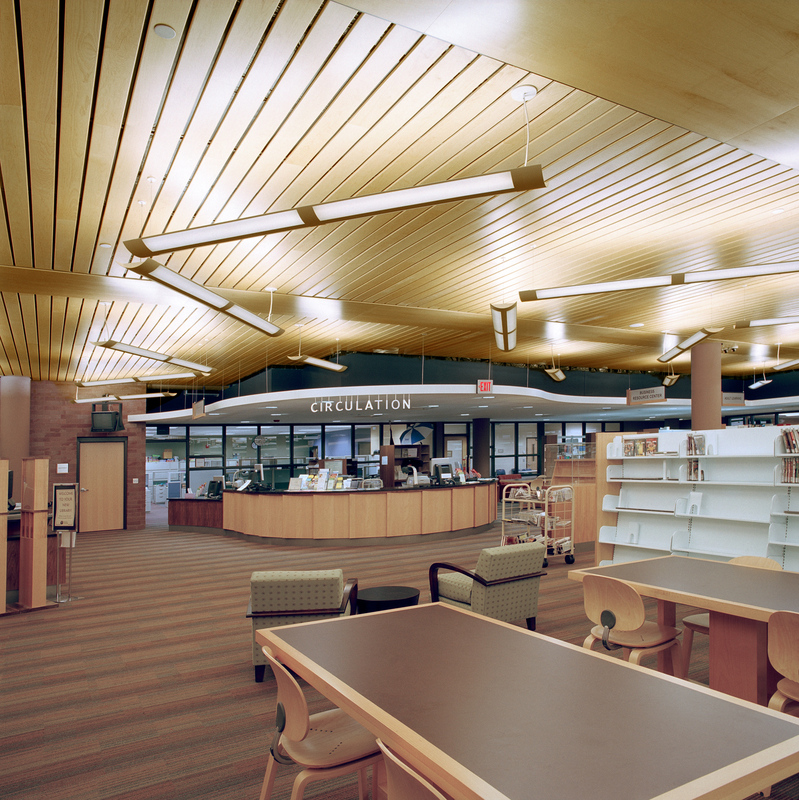 Ceilings representative Jim Tegan worked with the architects to specify Hunter Douglas ceilings for the system, including hidden air diffuser. 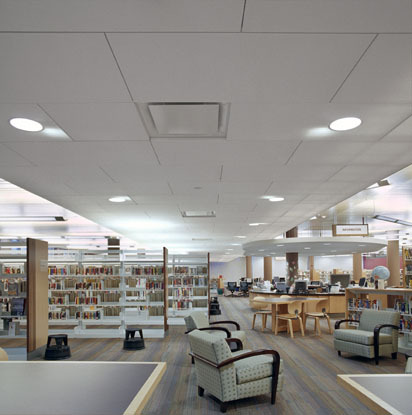 The result delivers a calm aesthetic along with optimized acoustical properties. The design earned a best-in-class award as an outstanding mixed-use development from local real-estate/business media.